Made in the USA! This is an AUTHENTIC Annin Flagmakers flag. SINCE 1847- the OLDEST and LARGEST manufacturer of flags. Made in our factories in South Boston, VA or Coshocton, OH by one of our OVER 500 employees. Don't accept an imitation! Be a Part of History! Annin made the flag that draped Abraham Lincoln's casket, the flag raised on Iwo Jima and the US flags sent to the moon. 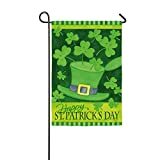 Own a piece of history by the HIGHEST QUALITY manufacturer of flags-FAMILY owned for OVER 167 Years. Quality! Expertly sewn using Annin's HEAVYWEIGHT 200 DENIER NYLON fabric dyed in our VA factory with our exclusive SolarGuard(TM) dyes. PROVEN to last the longest and be the BRIGHTEST. This DURABLE fabric flies in a light breeze and blocks damaging UV rays. Expert Craftsmanship! SEWN stripes use double-needle LOCKSTITCH with 4 ROWS on the Fly Hem and Back Tack reinforcement. Vivid WHITE STARS are densely EMROIDERED. Brass Grommets. Annin Presentation Box! Each flag ships in an OFFICIAL ANNIN FLAGMAKERS presentation box. Makes an excellent gift for friends, parents or to PROUDLY display on your HOME. If you’re looking for a high-quality, U.S. flag made in America, there is no reason to look further than Annin Flagmakers. Since 1847, Annin Flagmakers has been the standard by which U.S. flags are made. As America’s largest manufacturer and distributor of U.S. flags, Annin Flagmakers takes great pride in having supplied Old Glory to every President since Zachary Taylor. U.S. Civil War flags, the American flag that draped Abraham Lincoln’s coffin, America’s Cup yacht flags, the first U.S. flag raised at Iwo Jima, flags for the United Nations, American flags for the U.S. Olympic Committee, the U.S. flag at the 9/11 Memorial and the Apollo 11 mission to the moon…Annin has made them all. 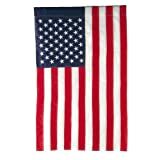 In the most patriotic of times, Americans look to Annin Flagmakers to supply them with the Stars & Stripes. 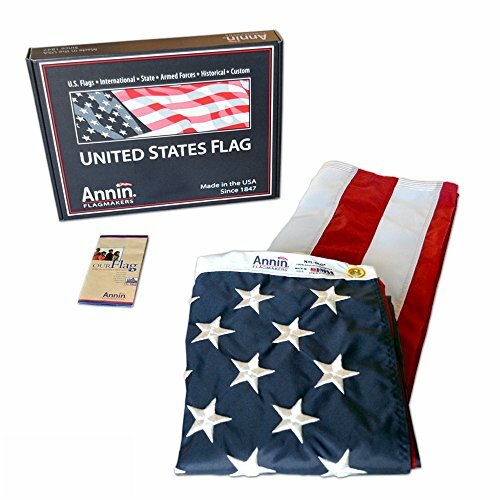 All of Annin Flagmakers U.S. flags are sewn in either South Boston, VA or Coshocton, OH and are shipped with a one-year ColorFast guarantee against fading. Homeowners, businesses, schools and municipalities currently fly U.S. flags made by Annin Flagmakers in cities, towns and neighborhoods across America. Annin’s superior quality is time-tested and meets the requirements of the most discerning buyer. Nyl-Glo, Tough-Tex and Bulldog are registered trademarks and manufactured exclusively by Annin Flagmakers.